Who makes up the Shepherding Team? The Shepherding Team is comprised of non-rotating members from our Pastoral Staff as well as rotating lay-leaders who currently serve as teachers and leaders at OBC. The local church is governed by Christ (Matthew 16:18) through the Holy Scriptures. Under the authority of Jesus Christ, the purpose of the office of shepherd is to lovingly lead, nurture, and equip the entire membership to do the work of the ministry (Ephesians 4:12ff). The Shepherding Team of Ogletown Baptist Church (both vocational and non-vocational) will oversee the overall direction and teaching of the church, since they are the ones who will one day answer for it (1 Thessalonians 5:12; Hebrews 13:7; 13:17; Acts 20:28). Though these men will shepherd in differing degrees (1 Timothy 5:17), they are all accountable to God for the care of His flock. word, giving direction and counsel to the church body. good news of Jesus Christ and the truths of God’s Word. brought by false teaching and false teachers. Raised in an outwardly religious family, Patrick was saved after his older brother came to Christ and invited him to attend a men’s Bible study at the Church of the Savior in Ardmore, Pennsylvania. At a later Bible study, Patrick also met his wife, Holly. After graduating from Dallas Theological Seminary in 1993, Patrick was ordained for ministry and has served the Lord in many capacities, with primary emphasis on teaching the Word of God. Patrick has provided pulpit supply, taught Bible studies, and led both an adult Sunday School program and also a singles ministry. Currently Patrick teaches a Sunday Bible Study at OBC. Patrick and Holly have been married for 22 years, have three children (ages 14, 18, & 20), and live in Bear (DE). Patrick is a Senior Vice President at Bank of America, having worked there for 22 years. In his free time, Patrick likes to spend time with his family, watching his children’s sporting events. Growing up in a Christian home in Racine, Wisconsin, Jeff came to know Christ through an evangelist preaching at his home church. After meeting his wife, Katy, at Baptist Bible College of Pennsylvania, Jeff has served full-time as a youth pastor and as a music pastor. Jeff serves in many ways at OBC, including as a Sunday Bible Study teacher where he leads with a passion to see people live what they learn from God’s Word. Jeff and Katy live in Glasgow (DE), have been married for 45 years, and have five children and 14 grandchildren. 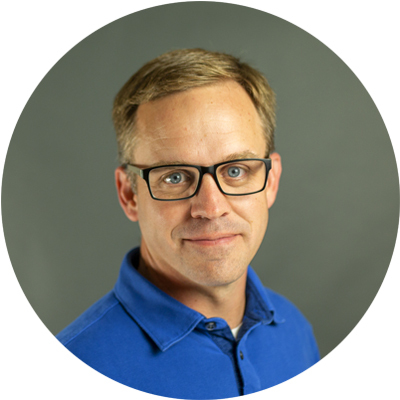 Since 1996, Jeff has worked at OPEX, a technology corporation specializing in high speed mailroom automation. He currently works as a Business Alliance Manager at their New Jersey headquarters. Jeff also enjoys golf, listening to music, and spending time with family. with his father. Matt’s involvement in Fellowship of Christian Athletes in college helped grow his faith and it was then that he began teaching God’s word to others. After college, Matt served on staff with FCA for several years before returning to Newark in 2006. Matt began attending Ogletown after he and his wife, Katie, were married in 2007 and he became a member shortly after that. Matt has served in numerous capacities at Ogletown including teaching various Sunday Bible Studies (Greenroom, Next Steps), volunteering in Kids Connection, and most recently, on the Deacon Leadership Team. He is currently pursuing his Masters in Theologcal Studies at The Southern Baptist Theological Seminary. Matt has been the Director of Business Development at CardioKinetics for the last 12 years. He and Katie have three energetic children. Matt coaches middle school lacrosse, he enjoys exercise and playing sports (not games), and he loves spending time with his family. Raised in a Christian home, Eddie professed faith in Christ at age 14 after a progression of understanding, acceptance, and then trust in the gospel. While in college at Georgia Tech, Eddie met Robin at a singles Sunday School class in their church. They were married in 1976. Over the years, Eddie and Robin have been involved in ministries together, such as teaching a toddler Sunday School class, leading the children’s Bible drill, and serving at the Book Table (currently). Eddie has also served as a deacon, chaired several Finance and Pastoral Search committees, and taught Sunday School classes. Currently, Eddie co-teaches a Sunday Bible Study with John Mason. Eddie and Robin live in Newark (DE), have three children and five grandchildren. He has worked at DuPont for over 35 years, with his present responsibilities including risk management, public policy advocacy, and government affairs. Apart from work, he enjoys reading, hiking, and spending time with his family. A native of Wheeling, West Virginia, John came to know Christ as a kindergartner in Sunday School. In the years that followed, John developed an interest in music which led him to participate in the high school marching band, where he met his future wife, Joan. They dated through high school and college, and have now been married for 27 years. John and Joan live near Pike Creek, have been members of OBC since 1991, and have two grown sons: Josh (age 25) and Dan (age 22). John is a middle school English teacher at Wilmington Christian School, having been in education or corporate training for over 20 years. John also serves as a Sunday Bible Study teacher of the “Strolling through the Scriptures” class. He has also served on the Personnel Committee and on a staff search committee. Additionally, he has led in the RA (Royal Ambassadors) ministry for elementary-aged boys, helped in the nursery, and sung in the choir. An avid reader, John also enjoys games, puzzles, and sports, especially soccer. Though never a soccer player, he’s cheered both his sons’ teams and currently coaches a middle-school team. Chris grew up in a Christian family near Chicago, Illinois. While attending a gospel-preaching church his entire life, Chris first remembers hearing and believing the gospel as an eight-year old boy, through a conversation with his father. Chris has been a paramedic with New Castle County EMS for over 10 years. It was on one of his shifts that he happened to meet his wife. The Raineys live in Newark, have been married for 12 years, and have three children. Chris has actively served at OBC since becoming a member in 2001. Immediately, Chris began to serve as an usher, then later was asked to fill in as a table leader in youth group one Sunday. Over 15 years later, he still encourages and meets with teenagers each Sunday. Chris also helps lead Men’s Ministry, and organizes OBC’s seminary study group. A diligent student of Scripture, Chris is presently taking seminary classes. In his spare time, he is also a photographer and loves gardening. Wayne grew up in the Mid Coast region of Maine and was raised in a Christian family. He came to faith in Christ as a junior in high school after hearing a pastor teach convincingly about his need of a Savior. Wayne attended college in Tennessee where he met his wife, Stephanie. After moving to Delaware, the Lord led Wayne and his family to Ogletown in 2011. Since then, Wayne has served as a deacon, chaired an Associate Pastor Search Committee and the Personnel Committee. Additionally, he and his wife taught regularly in Kids Church. Wayne currently works in finance at Exelon, and operates a small tax consulting and bookkeeping business. He and Stephanie have three children and live in New Castle. He enjoys reading, Boston sports, carting kids to activities, and hanging out with friends and family. These staff members serve as non-rotating members of the Shepherding Team.